Helping home owners is your passion and expertise, building beautiful, high-converting website is ours! Side By Side handles the design, development, maintenance, and on-going tweaks to your website. You run your business without having to lift a finger or worry about your website. No two of our websites are the same. We treat each client (that’s you!) with the love and attention you deserve to create a unique website you will love. Pick your package and pay a low monthly fee that’s easy to work into your business’ expenses, it’s that simple. No surprises, no additional costs. Approx 48% of website viewing is done on a mobile device. All our website are mobile optimized and ready to capture leads from any device type! At Side By Side we pride ourselves in quick turnaround and post launch support. Whether it is adjusting something on your site or hopping on a call to brainstorm ideas, we’re here. WEBSITE DESIGN FOR ROOFERS IS OUR SPECIALTY! Running your own business can be tough work especially when it comes to generating leads. At Side By Side we’ve worked with numerous General Contractors to build the online presence that they want and need. We can also integrate with a variety of industry specific CRM, accounting/invoicing platforms, and other tools. 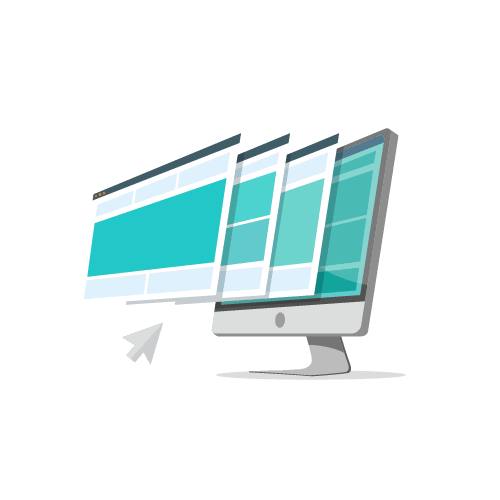 Let's Build You An Amazing Website! Side By Side is digital marketing company helping businesses succeed online through web design & development, SEO, and digital marketing. Every client is unique, and we dig deep to find the right approach for each of them. Based in Waterloo, Ontario, we help entrepreneurs and small/medium business owners locally and beyond grow their online presence.